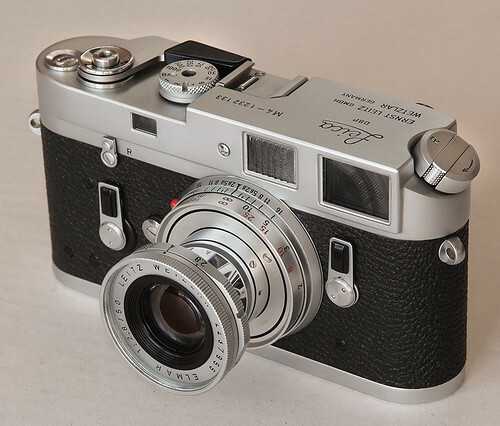 The Leica M4 was introduced in 1967, replacing the 1954 Leica M3 with a number of improvements; particularly much improved film handling and viewfinder bright lines for wide angle lenses. 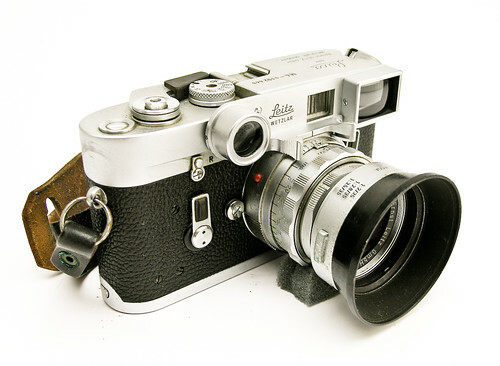 Like the M3, the M4 is an all mechanical manual exposure rangefinder camera without a built in exposure meter. 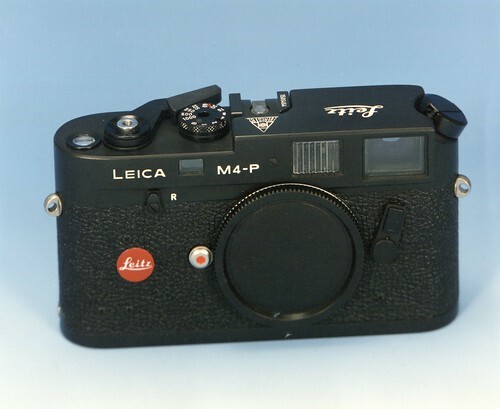 The M4 was Leica's last camera produced largely with hand assembly. Loading and rewinding film was made much easier. A redesigned take up spool simplified film loading, and a crank in place of the earlier knob made rewinding easier and faster. Following the disastrous M5, the M4 was reintroduced in 1978 as the M4-2 manufactured in Canada, with only detail differences. Manufacture was simplified and largely mechanised, reducing the very high cost of earlier production. For the first time provision was made from the outset for a motor winder which would also fit the M4-P and M6 (but not the earlier M5). Although smaller than the earlier M2 winder, the Winder M4-2 was still substantial and more than half the size of the camera body. 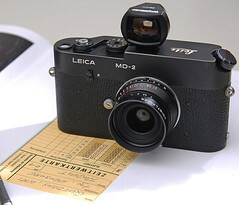 Like the earlier MD variant of the M3, the MD-2 was a version of the M4-2 without a viewfinder intended primarily for scientific use on a microscope or telescope. 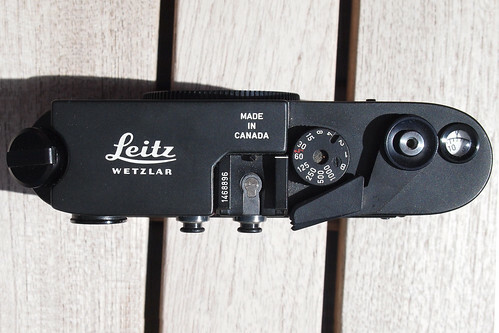 Built from 1980 to 1986, with serial numbers from 1543351 to 1692950, successor to the M4-2 and likewise made in Canada. The main difference is six viewfinder frames for 28/35/50/75/90/135 lenses by displaying the following combinations: 35/135mm, 50/75mm, and 28/90mm. 28mm and 75mm frames were added for newer lenses. The M4-P also has the .72 magnification viewfinder found in the M6 and available for the M7. Most M4-Ps were finished in black chrome, while some silver-chrome units were also available. 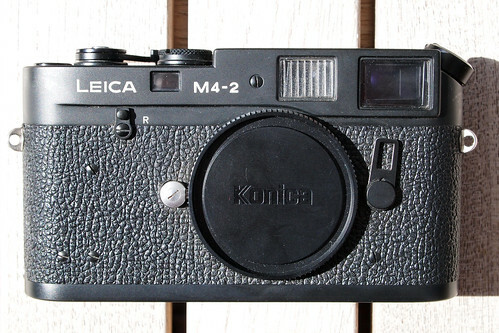 M6 started production in 1984, overlapping production of the M4-P, and later M4-Ps shared the same rangefinder as the M6. This page was last edited on 14 March 2018, at 06:19.